Further, the faster rate of output expansion and continued rise in order backlogs contributed to the biggest upturn in staffing levels since September 2015. Inflation pressures, though, also intensified in May, as input costs rose at the fastest pace in nearly half a decade. The report suggested that the latest rise in cost burdens was due to “higher material inputs, often linked to tariffs, higher interest rates, and rising energy and fuel prices.” Several surveyed service providers said that they have been able to partly pass the higher costs on to clients, but continued price hikes in the long run will likely start to weigh on customer demand. 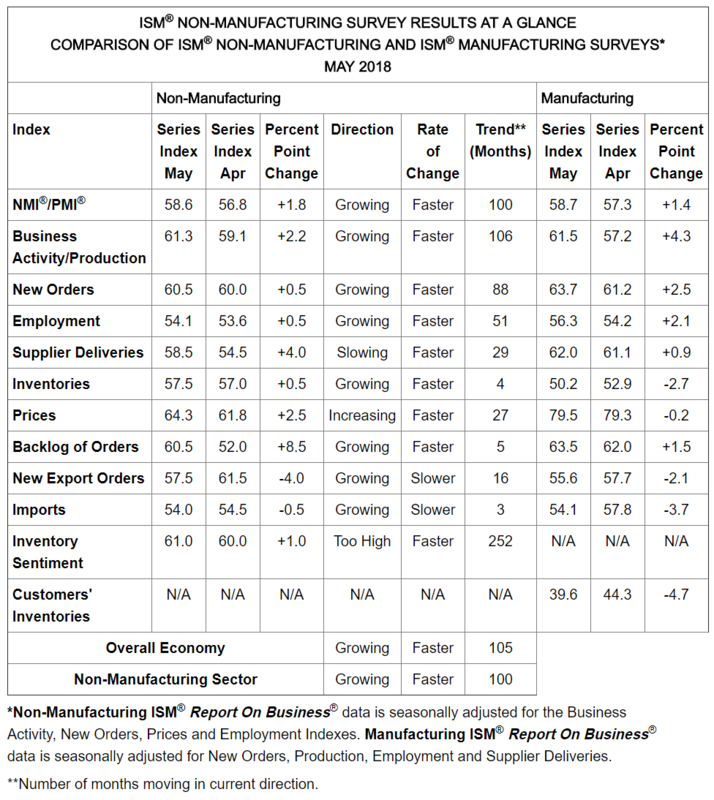 Similarly, the Institute for Supply Management’s (ISM’s) non-manufacturing index, also released this morning, lifted to 58.6 in May. That is better than anticipated and the 100th consecutive month of net activity expansion. 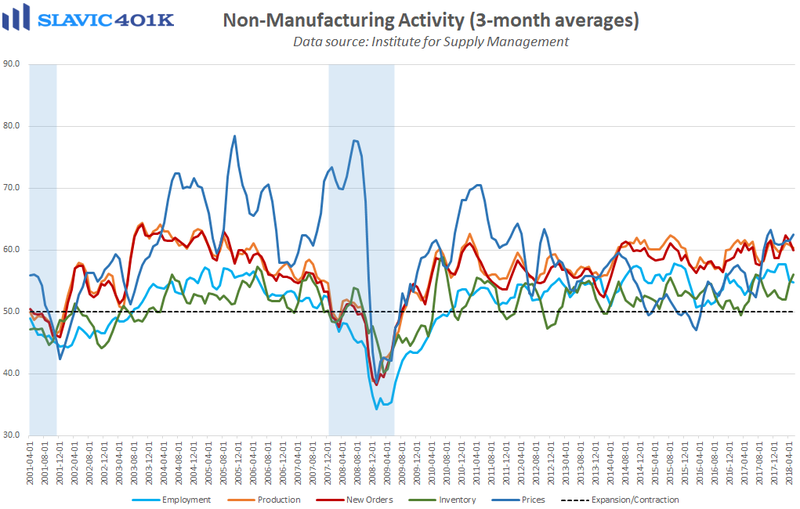 Measures of production, new business, order backlogs, and employment all improved last month, while gauges of foreign trade and margin strain worsened. 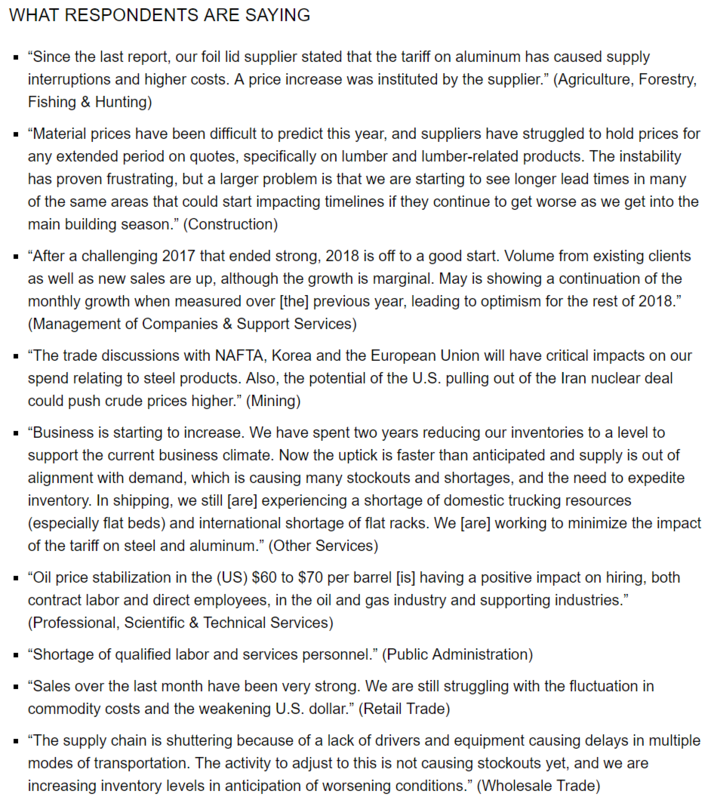 Comments from surveyed managers were generally positive in May, although several respondents cited concerns about the shortage of skilled workers and a potential trade war.